As we sit in the departure lounge at Chennai Airport and take stock of the past few days with Mahindra, there's a strong feeling of positivity. We all love an underdog story and Mahindra’s past has been chequered in South Africa. Mahindra not only suffers from the same perception problem as the Chinese marques (customers are wary of new/unproven brands in the local market), it's largely viewed as a maker of "rudimentary off-roaders". However, Mahindra South Africa believes it is now well-positioned: an ever-growing number of customers are willing to "take the plunge" with a new Mahindra. Buoyed by some credible sales success in our market, it has undertaken an expansion programme. It's interesting to note that in January 2019, Mahindra SA outsold Honda, Jaguar Land Rover, Volvo, and Opel. 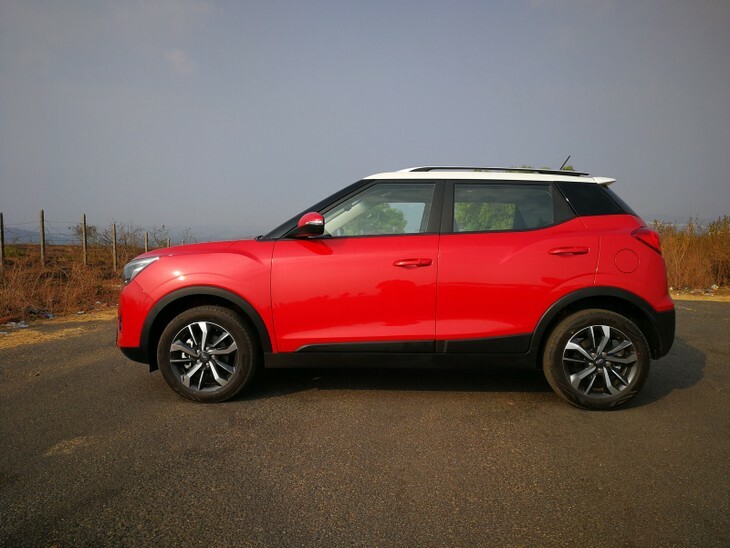 Some of the success can be attributed to the launch of the updated budget-friendly KUV100 Nxt and Mahindra Finance, which offers enticing deals. The Pik-Up bakkie is also achieving considerable sales success. 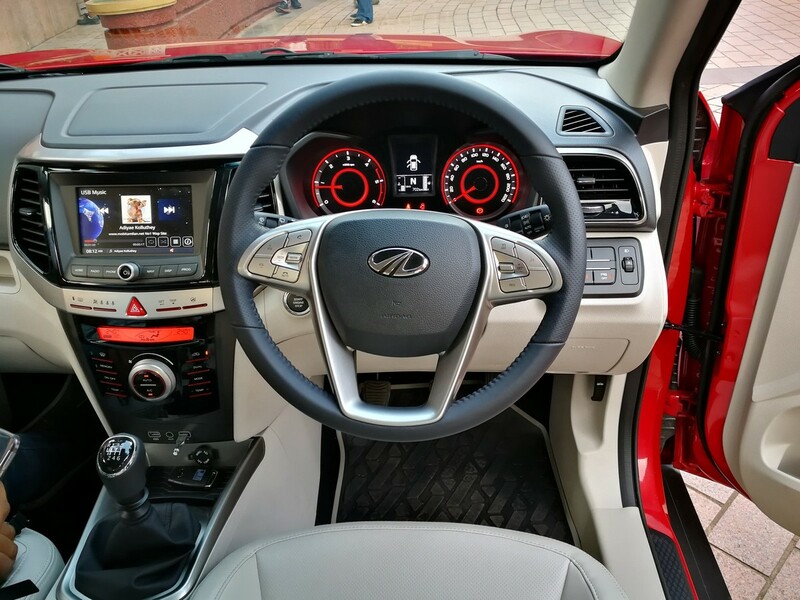 The dual-tone colour scheme gives the new Mahindra XUV300 some modern personality – we think it works. First things first: the new model's name is pronounced XUV 3 Double Oh, not XUV 3 hundred. 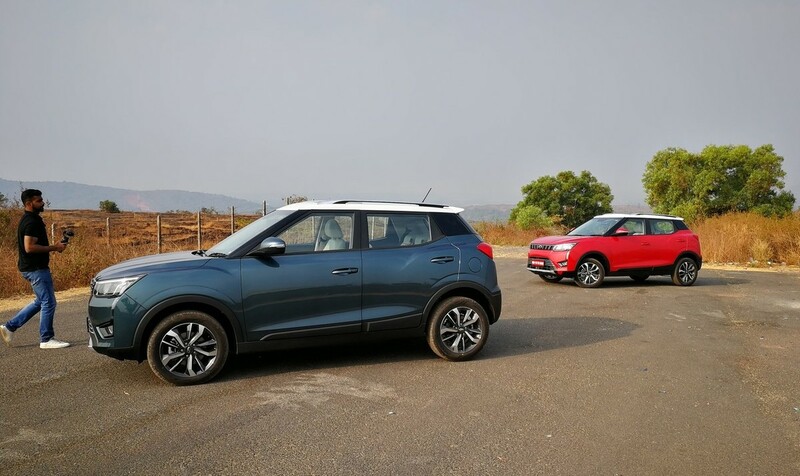 The new offering from Mahindra plays in an extremely competitive space and will be going head-to-head with the likes of the Ford EcoSport, Hyundai Creta, Haval H2 and the #CarsAwards-winning Suzuki Vitara (to name just a few examples). Given the standard of the competition, it'll have to be good. Is it? Read on and find out. Let's now talk about the newcomer's looks. With a purposeful, contemporary and, in our opinion, instantly-likeable design, the XUV300 isn't burdened with its predecessor's love-it-or-hate-it exterior execution. Instead, it has a fresh, simple design devoid of chintzy paraphernalia. At the front, it sports eye-catching daytime running lights and you can readily expect heightened kerb appeal to become a defining characteristic of future Mahindras. Evidently, the Indian company makes the most of its 76% stake in Italian design house Pininfarina, which it acquired back in 2015. The XUV300 is based on the Mahindra X100 platform and shares some tech with the SsangYong Tivoli. 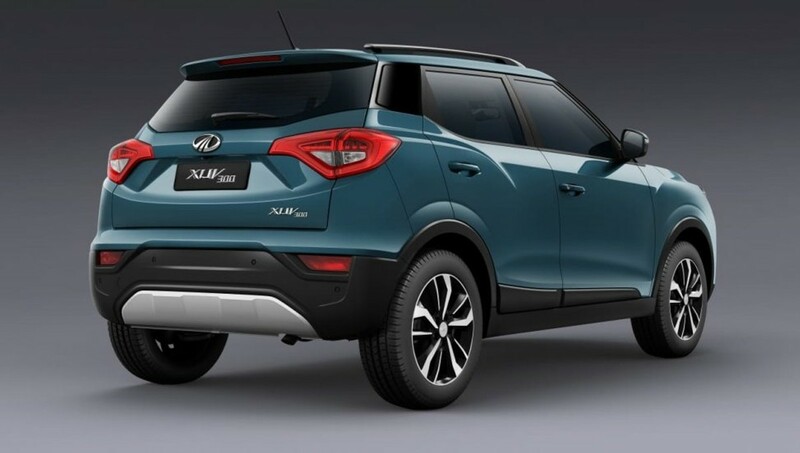 Mahindra owns 74.65% of the Korean manufacturer and while there are some similarities and overlaps between the XUV and the Tivoli (of which its predecessor was once under consideration for SA), the design and engines are exclusive to Mahindra. Speaking of engines, there are 2 options available. First up is a 1.5 CRDI 4-cylinder turbodiesel engine with outputs of 85 kW and 300 Nm. The next engine is a 1.2-litre turbocharged 3-cylinder petrol unit, which produces 82 kW and 200 Nm. 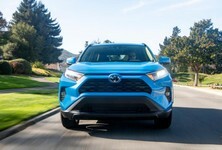 Both engines are mated with 6-speed manual gearboxes, but there's talk that automatic versions will come at a later stage. The cabin is well-made and there are plenty of storage spaces. 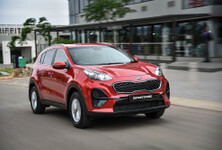 Top-spec versions will be fitted with a comprehensive infotainment system. We had the chance to drive the top-spec 1.5-litre turbodiesel version and we were blown away by the specification. The cabin is neatly laid out and feels solidly assembled (although we hope the beige-coloured interior will be replaced by a dark grey trim in SA-spec units). 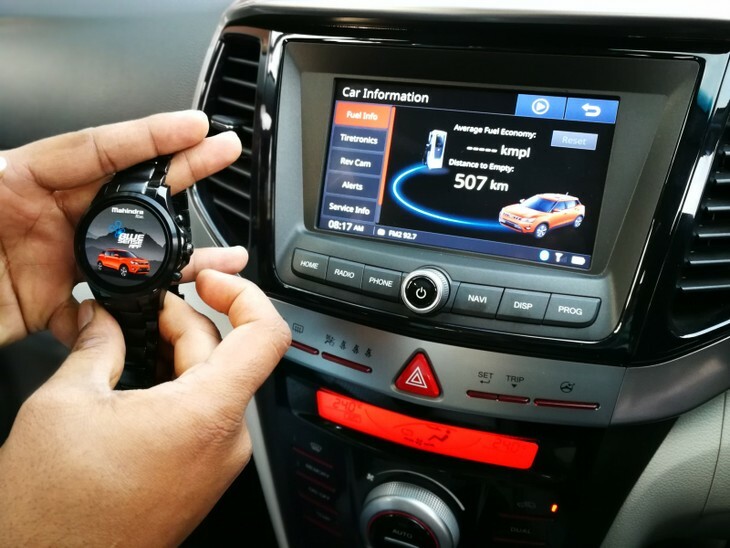 The infotainment system is operated by a 7-inch touchscreen and is complemented by a pair of USB ports, Android Auto and Apple CarPlay compatibility, satellite navigation... and there's even an app for smartwatch integration. It's safe too, with 7 airbags, ABS with EBD, disk brakes all round and stability control. 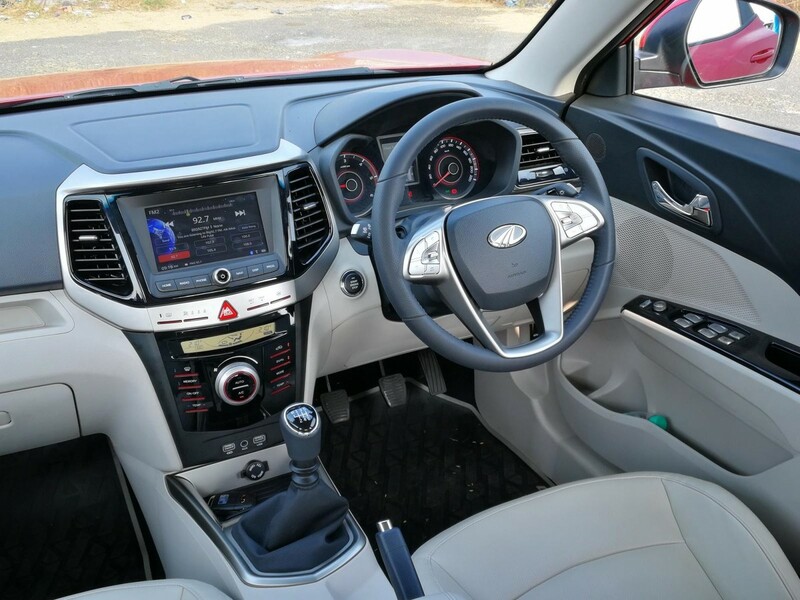 In terms of comfort features for the top-spec version, 3-mode adaptive steering (it allows you to adjust the steering feel), dual-zone climate control, park sensors (front and rear), a reverse-view camera, auto wipers, cruise control, keyless start and a start/stop system are fitted. 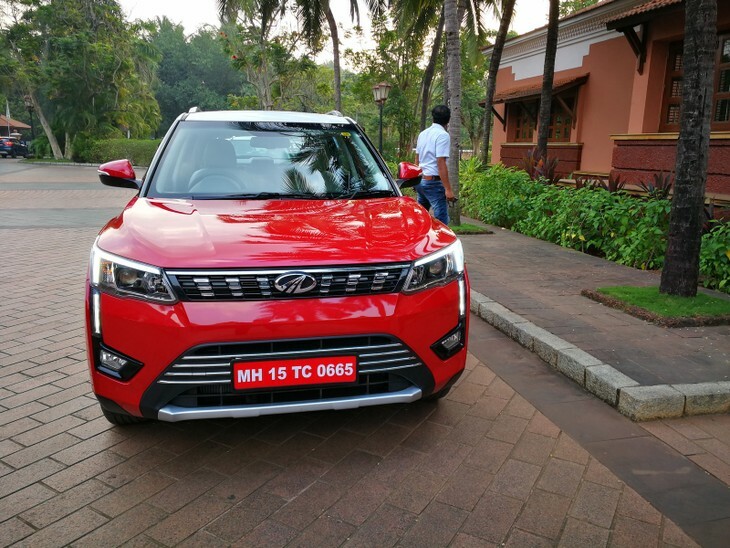 Our test drive of the new XUV300 took place in the tropical holiday province of Goa. The benefits of these roads range from less traffic to more dynamic surfaces and corners. 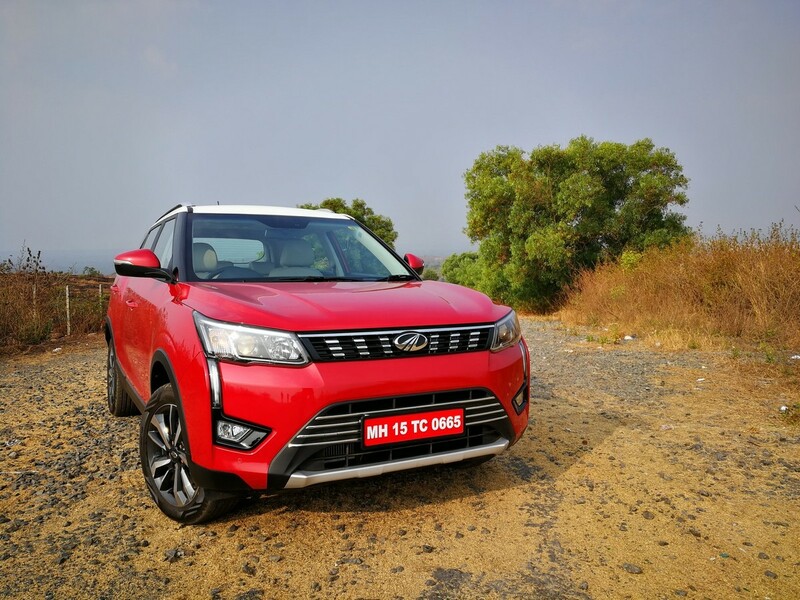 Driving in some of the big cities like Chennai and Mumbai is not for the faint-hearted (if you've never done it before), but our route through Goa was much quieter and allowed us to evaluate the claim that the XUV300 is "the most dynamic offering in its segment". 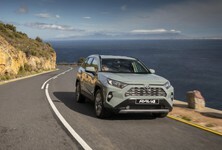 Initially, we were a mite sceptical about the claim... "Dynamic" is one of those buzzwords marketing execs use to convince the media (and public) that their brands' latest sensible/practical offerings are not boring to drive. 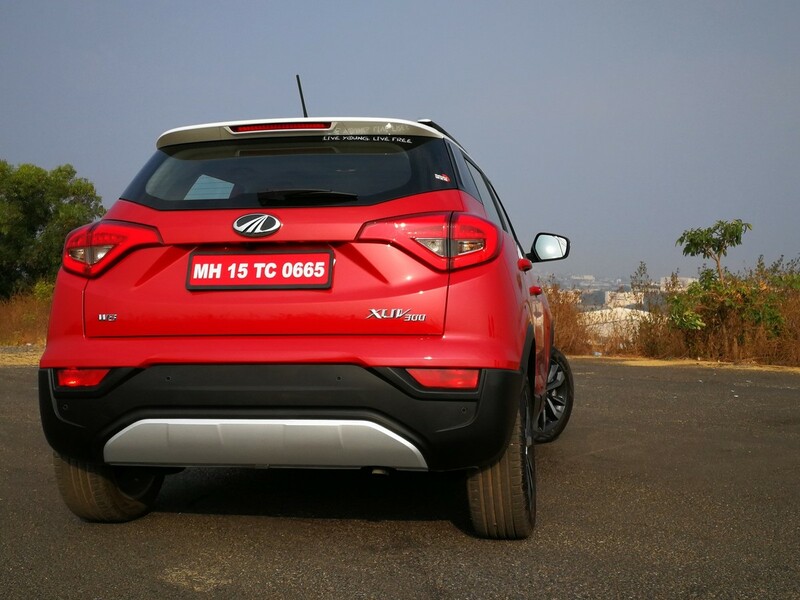 Surprisingly, with its steering feedback set to Sport, which offers a meaty feel through the tiller, the XUV300 felt appreciably agile (but not at the cost of poise) when we hustled it along some windy roads around the beach area of Palolem. It's not sporty per se, but at least engages the driver and rewards enthusiastic driving to an extent. The steering is reassuringly direct and, when switched to Comfort, light and lovely to wield in driving situations where tight parking manoeuvres would need to be executed. The ride quality (given the varied qualities of road surfaces and 17-inch alloy wheels) was particularly impressive. The suspension is firm, but at no point did it crash over any uneven ruts or corrugations in the road. Quality is a critical word in our brand-sensitive market and some people may have preconceived notions that the Mahindra is marginal in that regard. That couldn't be further from the truth, as this latest offering from the Indian firm demonstrates you can get excellent build quality, finishes and refinement from a brand that is not Japanese, Korean or European. Despite our test unit being driven all week by motoring journalists, it showed no sign of wear and tear, and the cabin was vault-quiet. 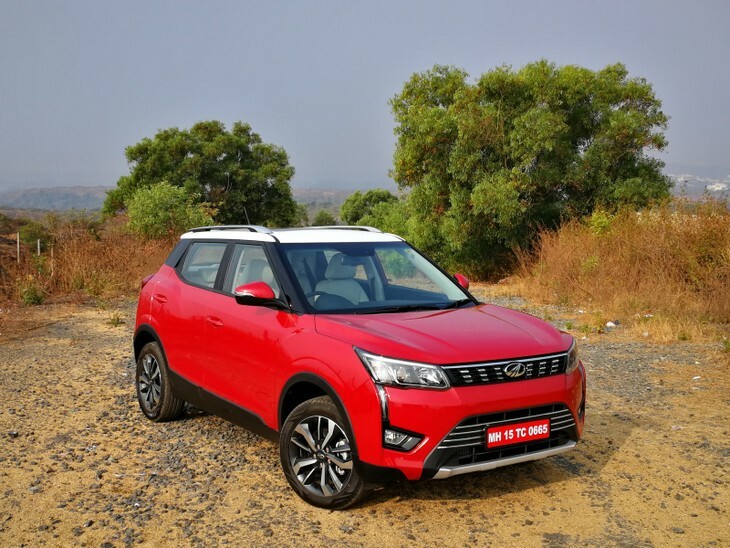 Mahindra representatives revealed NVH suppression was a key pillar of the XUV's development: making the cabin as quiet and refined as possible was a critical objective. The turbodiesel powertrain proved intriguing. Unlike some diesel engines in this segment, which are loud and clattery, this powerplant is quite quiet and refined. While the maximum power output (85 kW) is on par for the segment, 300 Nm of torque is exceptionally useful for in-gear overtaking, something we did a lot of on our test route. Once you're past that peak torque plateau, the dropoff is evident even before the redline. This could be a small cause for concern, but the 6-speed manual gearbox comes to the rescue. Not only is it light and easy to use, but the ratios are engineered to make the most of the engine's perkiness. If you feel you're running out of puff, simply drop a gear and the car will surge forward. With 180 mm of ground clearance, the Mahindra XUV300 can traverse some gravel roads with confidence. On our test route, we frequently found ourselves needing to overtake slower traffic and the turbodiesel engine was sufficiently responsive to execute those manoeuvres with ease. The real acid test will be to see how the car responds on the open road, where the 80-120 kph test is critical in our market. In India, there are few opportunities to reach 100 kph given the congested traffic and sometimes tricky road conditions. 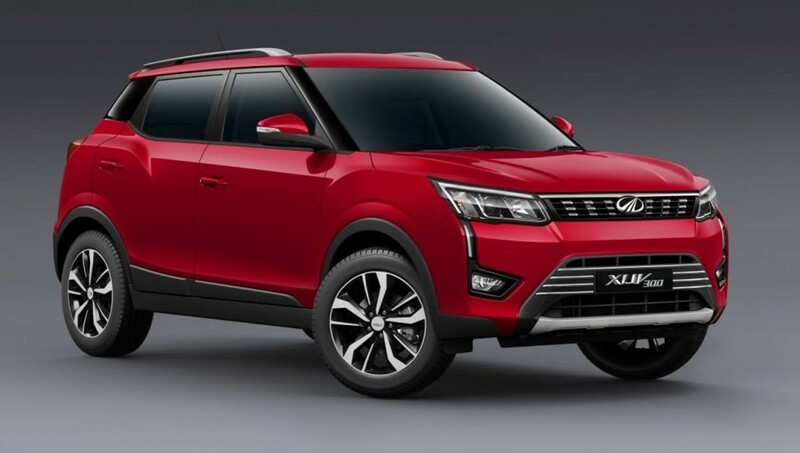 For those who like to venture off the tarmac and indulge in a spot of gravel grinding, the Mahindra XUV300 boasts 180 mm of ground clearance, which is useful. Which XUV300 Will SA Get? 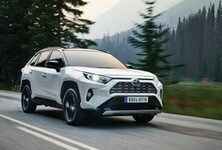 While final pricing and specification for the range are yet to be confirmed, we've been told that the local market will probably see the introduction of 3 spec levels, with the new model's launch expected around April 2019. 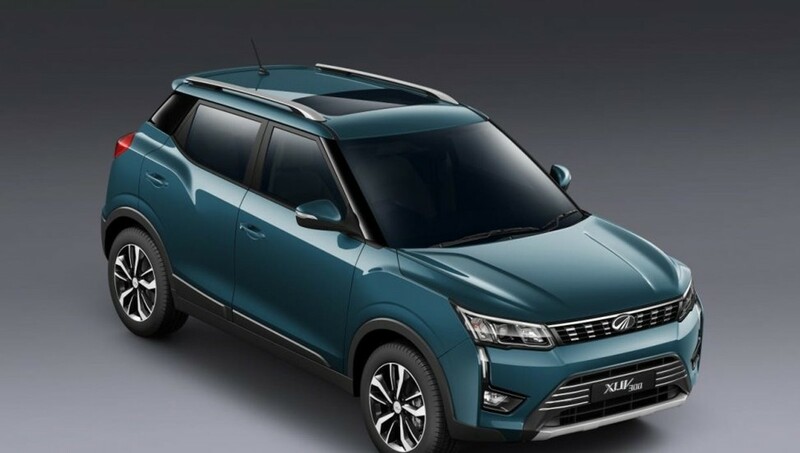 Mahindra Global regards the South African introduction of the XUV300 so seriously, that it has sent some units to Mzansi to undergo accelerated durability testing to make sure that the newcomer's suitable for our market. 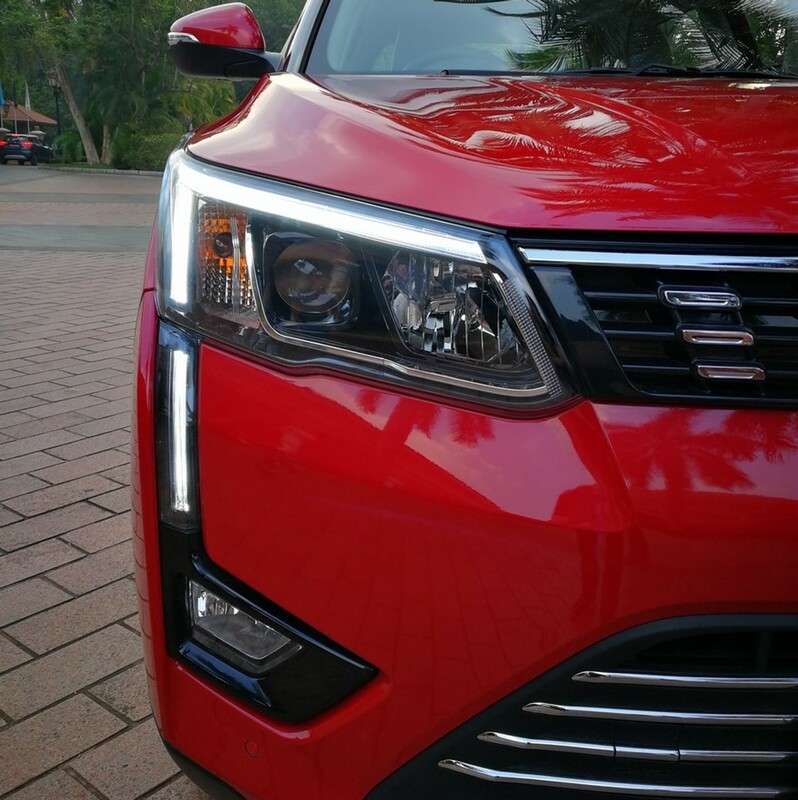 First impressions count for so much and we're happy to say that the Mahindra XUV300 delivers great build quality, generous features and a refined drive all around. Pricing will be critical and given where its rivals play, we think that Mahindra will come in with an aggressive strategy right from the get-go. No longer should the word "affordable" be automatically associated with "poor quality". We expect that the top-spec derivative will cost around the R300 000 mark, which undercuts its competition significantly and, hopefully, we won't lose too much in the way of spec. We can't wait to evaluate the new XUV300 on local soil and if our first drive is anything to go by, the XUV300 will find its way into several South African homes.